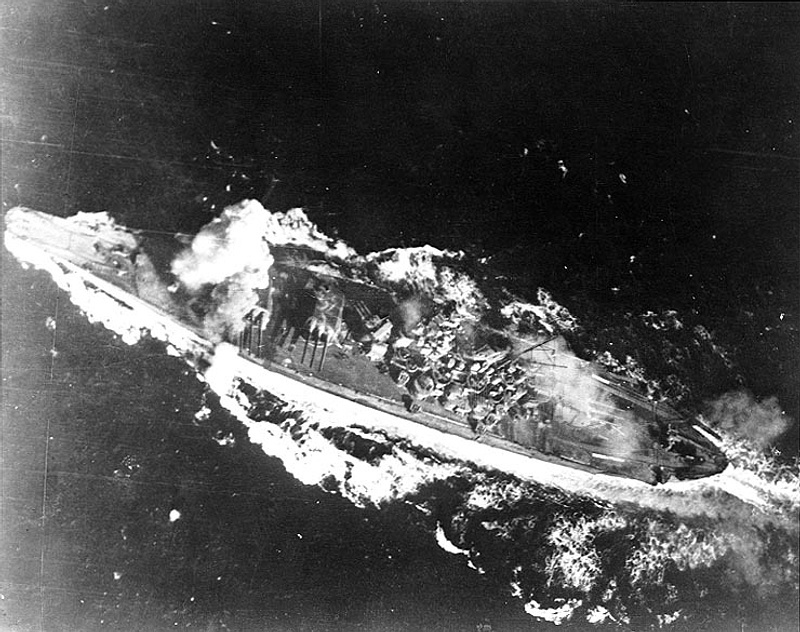 Yamato being hit by a bomb forward of the main battery, in the Sibuyan Sea, 24 October 1944. Yamato had been designed with a 'bomb proof' deck; this his bomb hit from American carrier based aircraft caused no serious damage. Source: Official U.S. Navy Photograph, now in the collections of the National Archives (# 80-G-325952). If you have spotted any errors on this page (Battleship Yamato being hit by a bomb forward of the main battery) or have anything to contribute please post it on the battleship forum.